This is a pretty straight forward project, so I won’t be giving too many details on this tutorial. 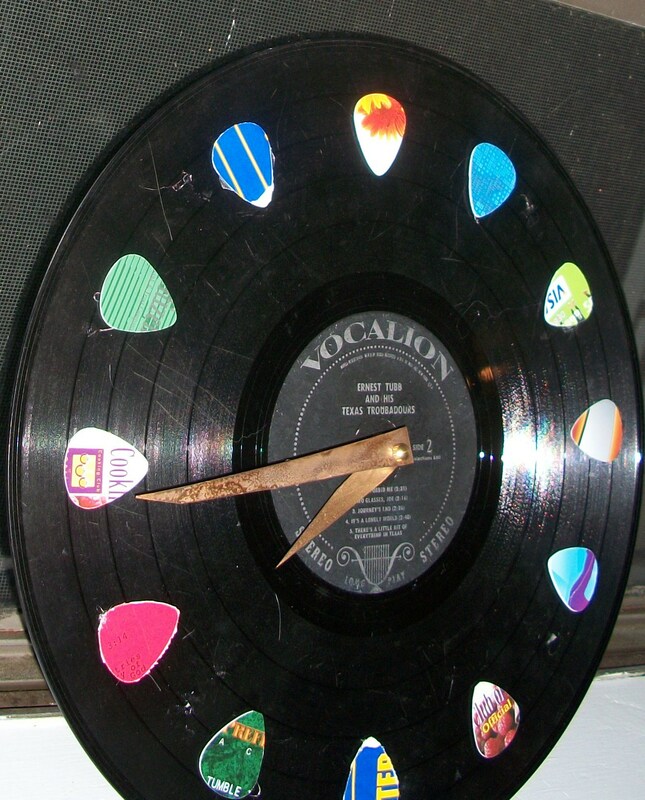 First, I had to make the hole in the record big enough to fit the clock kit in it. This you may or may not need to do, it just depends on your kit. I bought a clock at thrift shop and then I just took off the kit. Whether you get a kit from an existing clock or whether you get one from the store, they’re extremely easy to put together. The hands were tiny compared to the record, so I replaced them with some thin pieces of plastic that I painted gold.